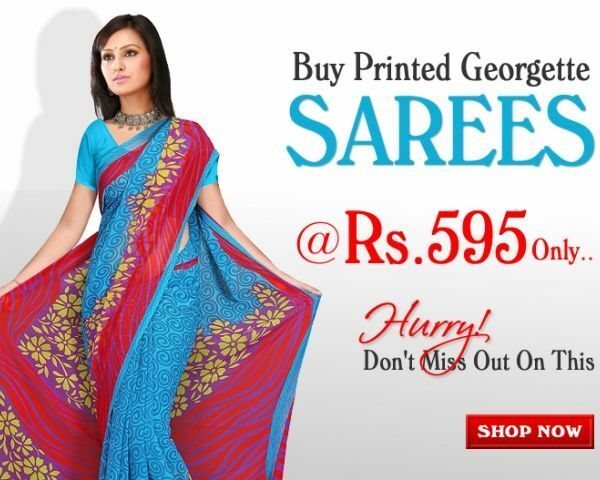 Looking to buy printed sarees at cheaper rates? Then you are at the right place. We, xxxx.xxxxx.xxxx, India s leading Sarees Store launches their SALE COLLECTION at Rs. 599 Only. Our sale collection features the latest collection of printed sarees, georgette sarees, casual sarees & daily wear sarees at unbeatable cheaper prices. Hurry! Go on a shopping spree with our sale. Visit our Sarees Sale for more info.